Merry and Bright! 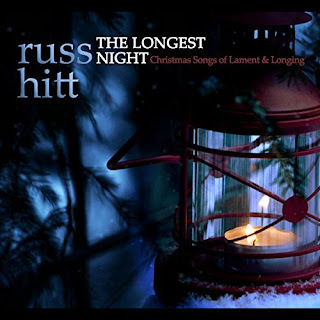 : Album Review: Russ Hitt "The Longest Night: Christmas Songs of Lament & Longing"
Album Review: Russ Hitt "The Longest Night: Christmas Songs of Lament & Longing"
"This album was born from music I have played at a reflective, contemplative service held for people who find the holidays a struggle or want to acknowledge the same on behalf of others in the world. The struggle can be different—loneliness, grief, exhaustion from doing too much and so on, but for those of us who find ourselves in that place the holidays can seem like a long, dark night." I believe that many, if not all, of us have at least once found ourselves at emotional valleys during the holiday season, and the reasons are many. As Russ noted, we can be lonely, stretched too thin, we can be experiencing loss during this time. Christmastime, while a time of joy, pleasure, spirituality, and excitement, shares the emotional spectrum with the darker side of the season. Russ Hitt has captured these emotions in his album "The Longest Night: Christmas Songs of Lament & Longing", with eight songs that beautifully pair the reflections of our darker emotions with a sense of hope and tranquility. The album contains three original compositions - "The Longest Night", "Reminiscing Christmas", and "Some of Us", and five arrangements of traditional songs. Russ is the sole performer on the album, playing acoustic and electric guitars, bass guitar, hand drums, piano, organ, and many various percussion instruments, as well as vocals on "Some of Us". Russ also produced, engineered, mixed and mastered the album. The inclusion of written scripture, verse, lyrics, and words of wisdom complete the artistry of the music. The selection of the included passages are an indispensable part of this work of art. The written words and the music taken together will have a myriad of meaning to listeners. Through "What Child Is This", "Silent Night", "O Come O Come Emmanuel", and closing with Russ' compositions "Reminiscing Christmas" and "Some of Us" (featuring Russ only vocal performance on the album, the music envelopes and embraces the listener. This album is not one of joy, revelry, and feasting on turkey. Nor is it one of deep sadness and despair. It is the music of reflection and hope during the Christmas season, when the longest night comes. Indeed, Russ ends the notes with Lamentations 3:29 "Wait for hope to appear". 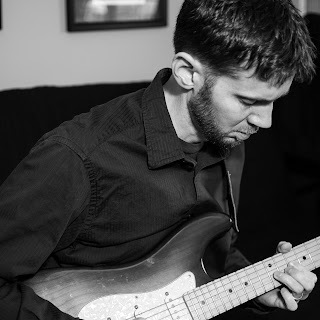 Russ Hitt provided a digital copy of the album to Merry and Bright for review consideration. Did You Say You Want More? NOLA Players CD Giveaway Contest!